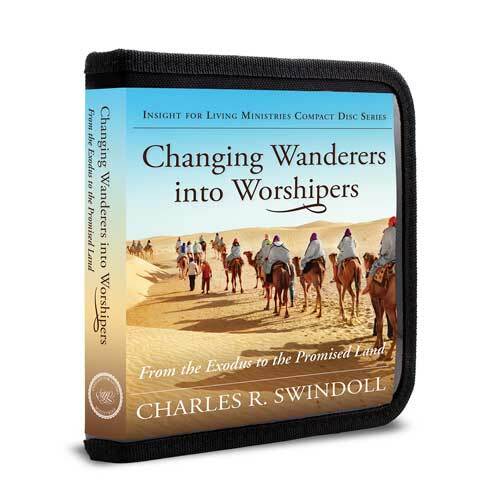 Note: The Changing Wanderers into Worshipers audio series features the complete messages that Chuck Swindoll preached from the pulpit. The finished product is a set of expanded messages that contain material not heard on the broadcast. Producing the final sermon version often involves merging messages from two church services and requires extra time for editing. God enjoys turning wandering people into worshipers, transforming drifters into pilgrims who receive His words, follow His ways, believe His promises, and enjoy His presence. That’s exactly the work He began through Moses who led the people out of Egypt to Sinai and eventually into the promised land. Copyright © 2001, 2002, 2018 ℗ 2018 by Charles R. Swindoll, Inc. All rights are reserved worldwide.